You have the opportunity to indulge in great food, experience new dining establishments, making it affordable to try notable and often expensive restaurants as well as an excellent excuse to meet up with family and friends. I met up with a dear friend this week and we took advantage of the $26 two-course restaurant week menu. 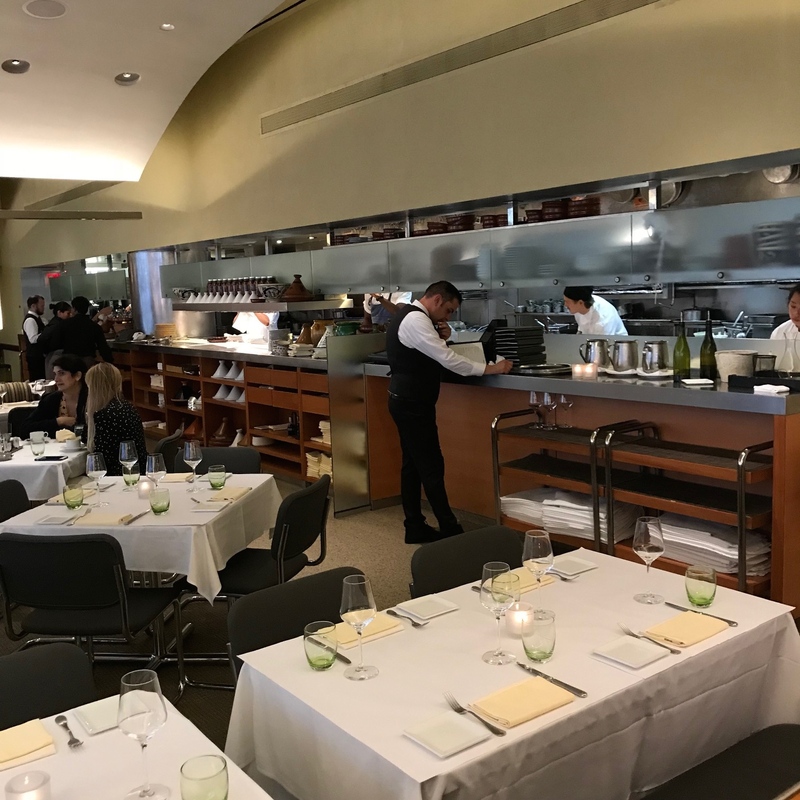 Destination, the classy Daniel Boulud’s mediterranean inspired, Boulud Sud located on the upper west side. The service and decor are impeccable. Between my personal issues and her surgery our rendezvous’ have been greatly limited. There was so much to say without being bogged down by text or email. Finally feeling sorry for the two servers who came by a total of four times, we finally took a look at the restaurant week stellar offerings. 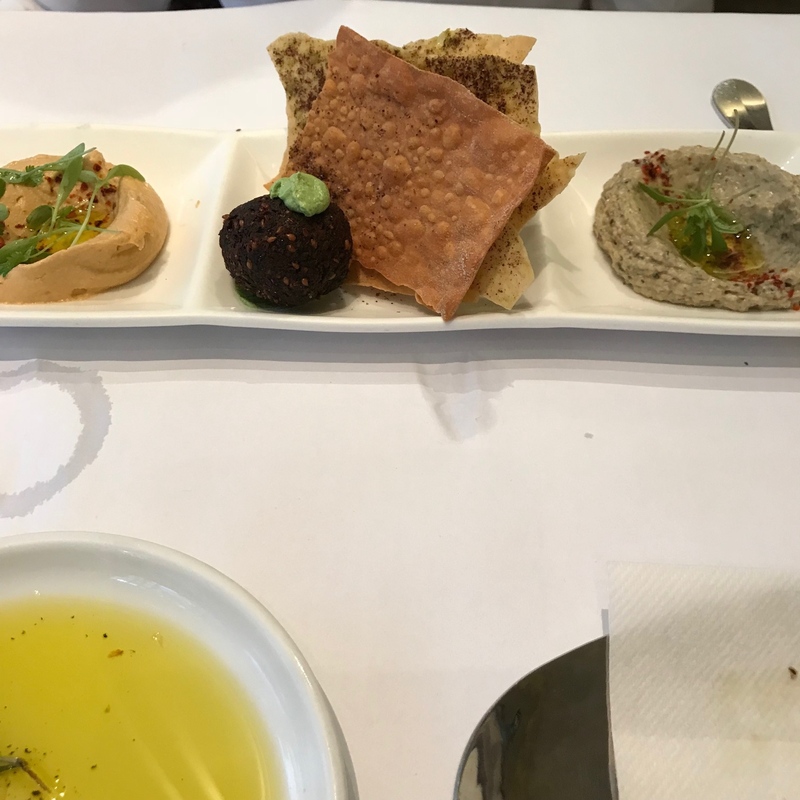 Highlights were Andalusian tomato gazpacho, Tuscan panzanella salad and Mediterranean mezze featuring spicy Moroccan hummus, herb falafel and babaganoush which is what my friend selected. 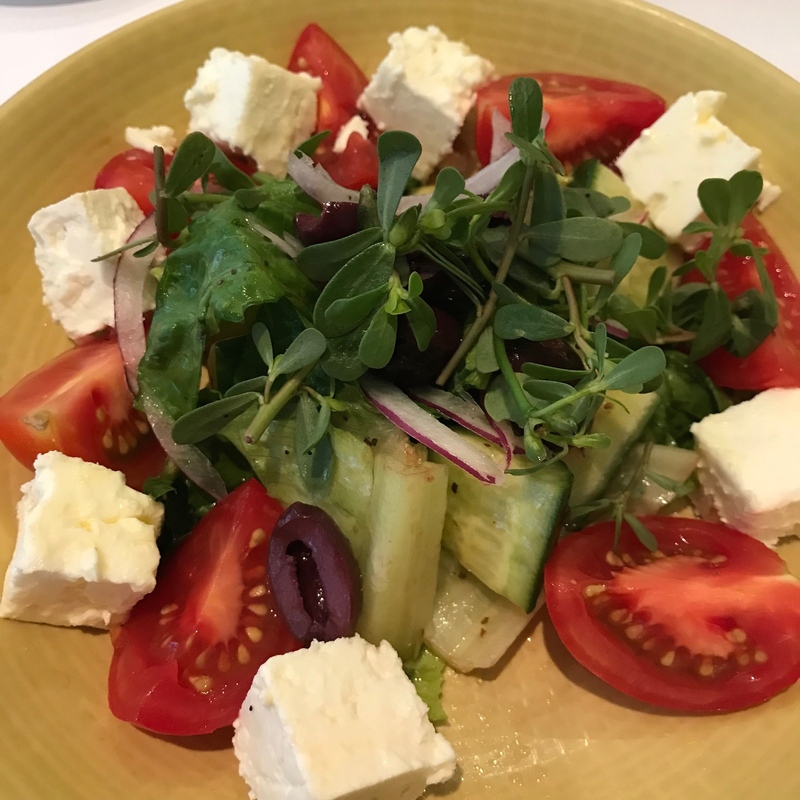 I ended up with the Greek Salad which the chef generously offered to include as an appetizer as all the first course offerings had peppers in the dish and I am allergic…nothing like anaphylactic shock show during a lunch rush. For mains, choices included Lemon Saffron Spaghetti, the Greek Salad, seared Faroe Island Salmon and a Harissa Lamb Burger. 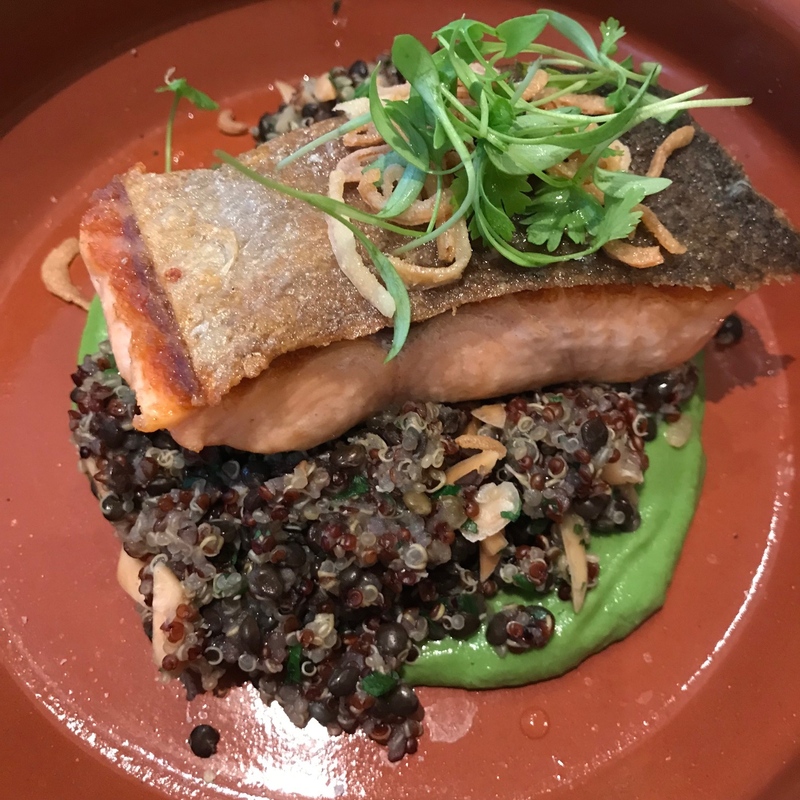 I chose the delectable Faroe Island Salmon with toasted quinoa, black lentils, avocado labneh and almonds. 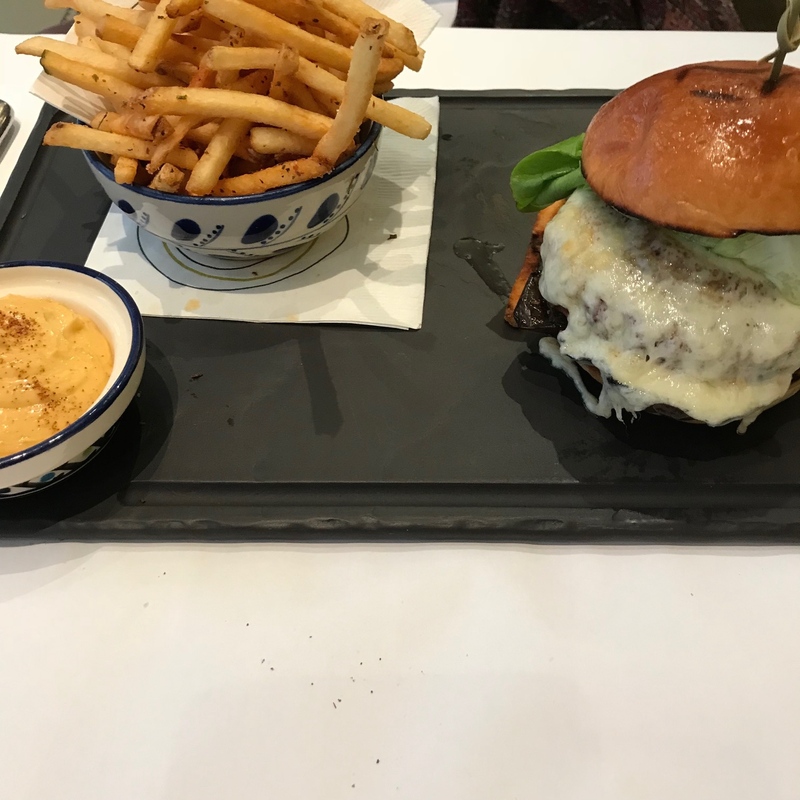 She ordered the Harissa Lamb Burger with eggplant, saganaki and spiced fries. 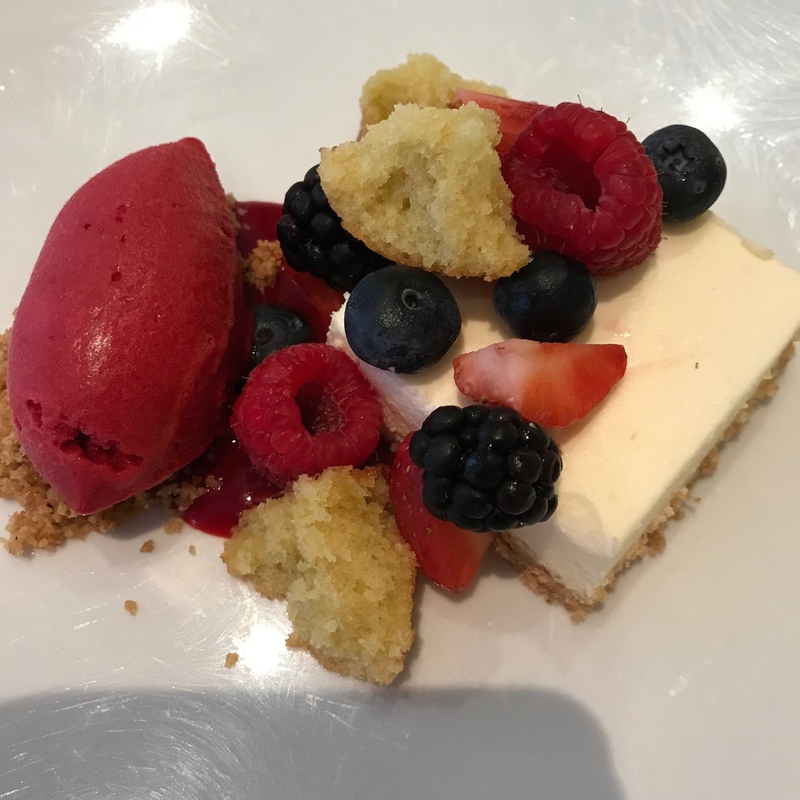 For a $6 supplemental charge we selected the Liuzzi Ricotta Cheesecake with summer berries, Magdalenas and raspberry sorbet. We chatted for hours, enjoyed the food and closed down lunch service. Restaurant week in NYC runs July 23-August 17th so check out your options at nycgo.com and carpe diem. Los Angeles’ version ends today. Restaurant Week is such a deal and a worthwhile moment in time to pause and break bread with someone you care about. Boulud Sud 20 W. 64th St., Upper West Side, New York City. Open for Lunch, Monday-Friday 11:30am-2:30pm. Dinner Monday-Saturday 5-11pm and Sunday 5-10pm. Brunch Saturday and Sunday 11am-3pm. 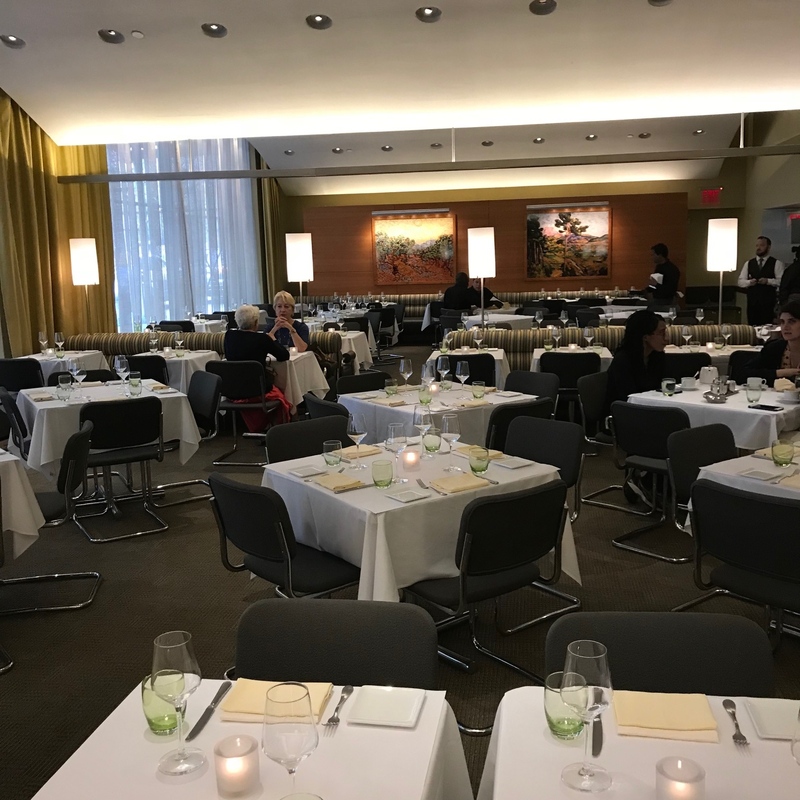 Reservations on OpenTable.com.